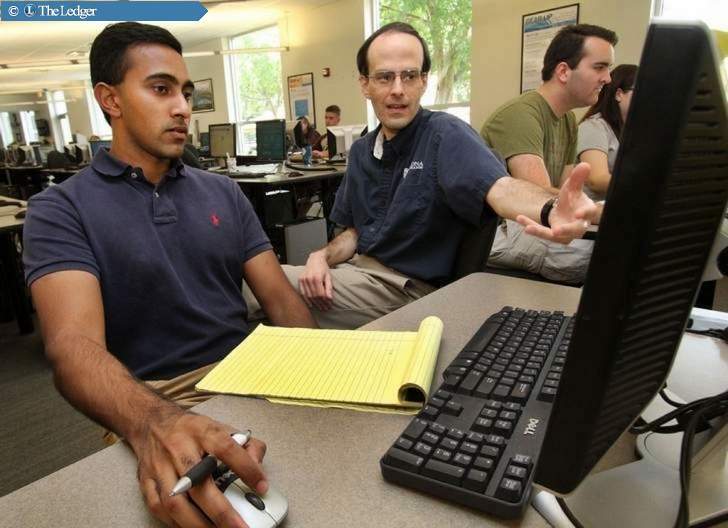 This new approach to math was introduced at Daytona State College in the fall to all students pursuing degrees that don’t involve science, math, engineering or technology. Last semester, there were 1,100 enrolled who attend class once a week as well as an optional lab day. On the first day of class, instead of getting a syllabus saying when they will cover chapters in a textbook, students sit in front of a computer and take an un-timed, 30-question online assessment. That assessment measures the knowledge students already have and determines their starting point. For example, once students indicate that they already know a lot about algebra or arithmetic, they are no longer responsible for it.